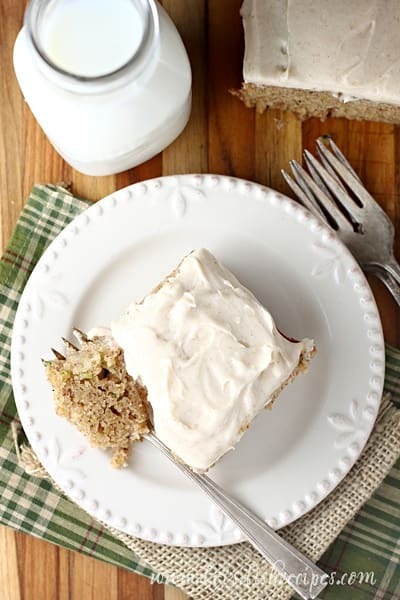 ZUCCHINI BANANA SNACK CAKE WITH CREAM CHEESE FROSTING — This snack cake is loaded with bananas and zucchini, and frosted with cinnamon cream cheese frosting. I don’t know about you, but I’m always looking for new ways to use zucchini from my garden, and this Zucchini Banana Snack Cake with Cream Cheese Frosting was a huge hit at my house! Combine everything you love about zucchini bread with everything you love about banana bread, add a layer of cinnamon cream cheese frosting, and you have this cake! Of course, with zucchini and banana, it’s moist and tender, and the cream cheese frosting is literally the icing on the cake! I added a hint of cinnamon to the frosting, to go along with the cinnamon and nutmeg in the cake, and it was just perfect! 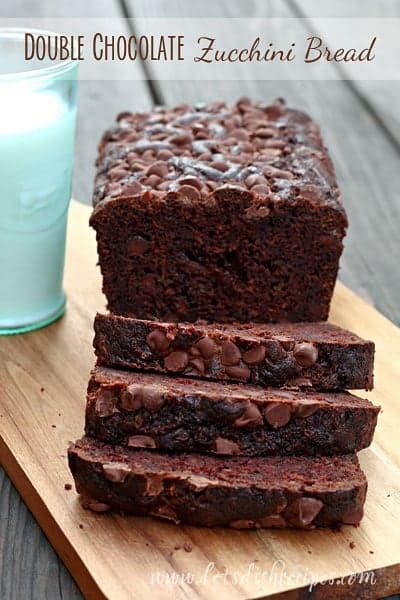 As the name suggests, this cake is the perfect size for snacking, but if you’ve got a lot of zucchini to deal with, feel free to double the recipe and make a full-size cake. I’m thinking this would also make delicious muffins. Of course, if you add the frosting, you’ll have to call them cupcakes. My husband, who is an avowed zucchini hater, even liked this cake. And my boys pretty much devoured it! It was pretty hard not to go back for seconds and thirds. Don’t tell, but I let them eat it for breakfast. After all, it does have zucchini and bananas in it, so it’s not all bad. 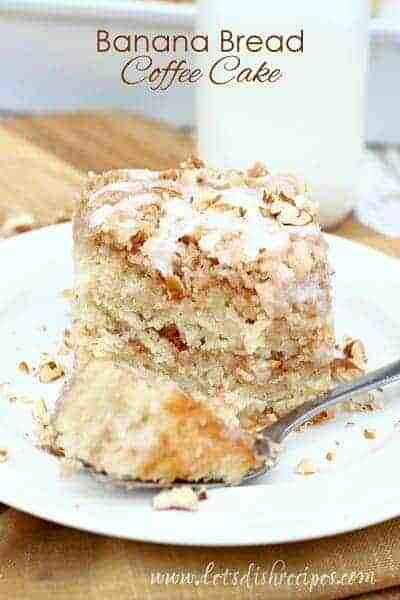 But no matter what time of day you enjoy this cake, it’s a great way to use up your zucchini and brown bananas. Enjoy! 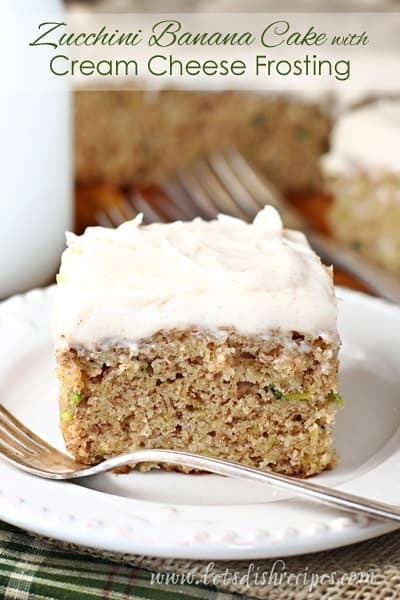 Be sure to save this Zucchini Banana Snack Cake with Cream Cheese Frosting recipe to your favorite Pinterest board for later. 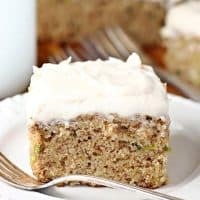 This moist and delicious snack cake is loaded with bananas and zucchini, and topped off with a cinnamon cream cheese frosting. Heat oven to 350° degrees. 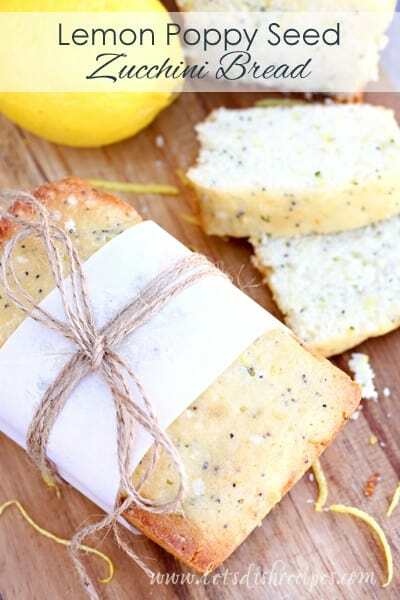 Spray an 8-inch square pan with cooking spray and line with parchment paper. In a large bowl, mix together flour, sugar, cinnamon, nutmeg, baking powder, baking soda and salt. In medium bowl, mix bananas, zucchini, egg, vegetable oil and 1 teaspoon vanilla. Add wet ingredients to dry ingredients all at once; stir just until combined. Spread batter into prepared pan. Bake for 35 to 40 minutes or until cake just begins to turn brown on top and toothpick inserted in center comes out clean. Cool cake completely in pan, about 1 hour. Meanwhile, in a medium bowl, beat ingredients for frosting with an electric mixer on medium speed until smooth and creamy. Spread frosting evenly over top of cake. Cover and refrigerate any remaining cake. I printed up the recipe, and decided to make it today, and then something caught my attention. Although NO baking powder is mentioned anywhere in the list of recipe ingredients, baking powder IS mentioned in the recipe instructions. So I cannot make the cake. I am stymied. HELP!!! It is 1 teaspoon of baking powder.